Первая открытка у меня с потрясающим ажурным ножиком Doodled Lace Cover Die и надписью из набора Envelope Liner Die Set. Для этой открытки я создала нежный акварельный фон и сверху приклеила по периметру вырубку, которую немного раскрасила маркерами Copic. For my first card I used Doodled Lace Cover Die and made watercolor background. Also I cut out a sentiment with Hello die from Envelope Liner Die Set. lsoI colored little bit Lace dec wh copic markers. В качестве подложки я вырезала среднее сердечко ножом из набора Halftone Hearts Nesting Die Set и добавила надпись белым эмбоссингом из набора Charmed Stamp Set. 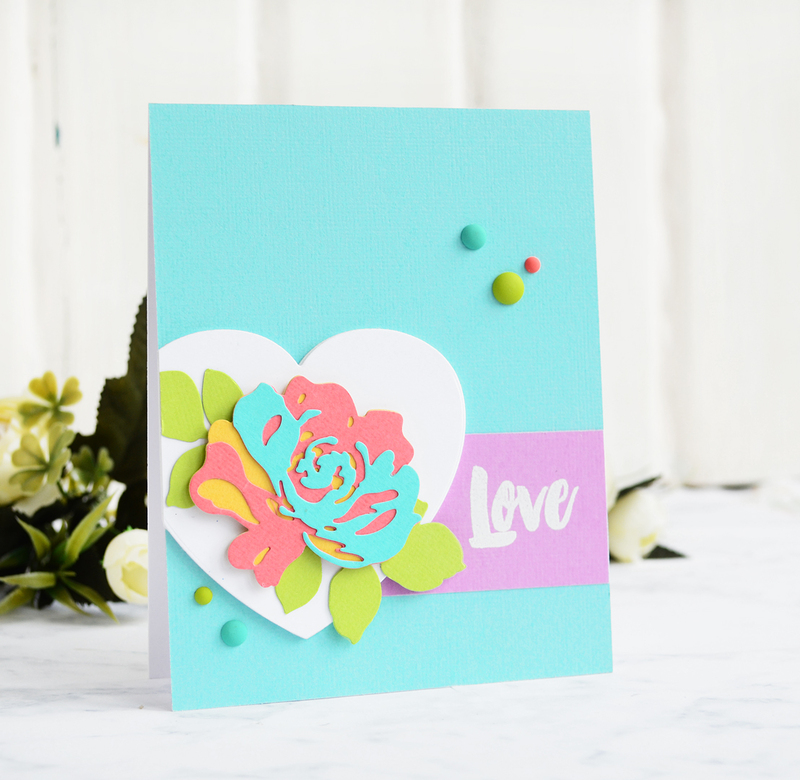 For second card I used bright cardstock and made rose with Fantasy Floral Die Set. For background I used heart die from Halftone Hearts Nesting Die Set and for sentimen - stamp Love from Charmed Stamp Set. А дальше идут открытки с разной вариацией этих ножей, я просто не смогла выбрать какой вариант мне нравится больше :) Деревянная розочка сделана из специального кардстока Altenew. 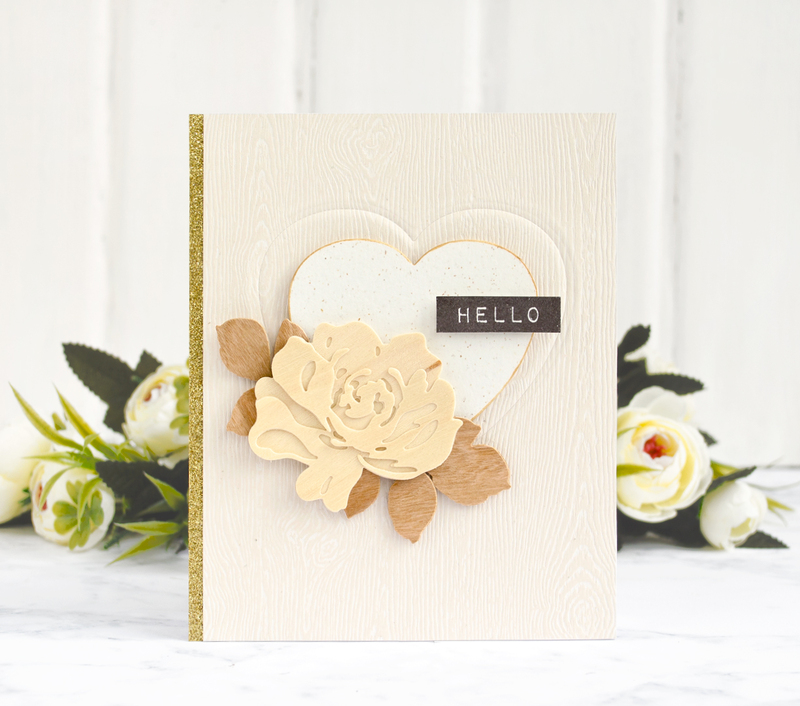 And bellow you can see few other versions of using rose = heart :) Wood rose I made using wood cardstock from Altenew. And here is version with heart shape window and white roses. this version can be great base for wedding projects. И последняя открыточка с фоновым ножом Striped Leaf Cover Die. Которую я сделала в технику инкрустации вырубкой :) Цвет я добавила жидкой акварелью и расставила золотые акценты. For my last card I used Striped Leaf Cover Die. This die works great with inlaid diecutting technique. Here I used watercolor also and add gold accents. Beautiful cards, I live the water color background great job! Absolutely gorgeous cards!! I love all the many different ways you used these stamps and dies - what an amazing release! Gorgeous! I love the blue leaf card! I absolutely love the tan and brown coloured card. WOW!!! Beautiful cards, especially the striped leaves with the blue background. I love the layered paper die cuts! Such beautiful cards! I love them all! Wow what a difference a different colour palette makes. Everything looks amazing. Beautiful cards! Love the colors and textures. Thank you for the chance to win! What an amazing release! And wonderful inspiration from you! 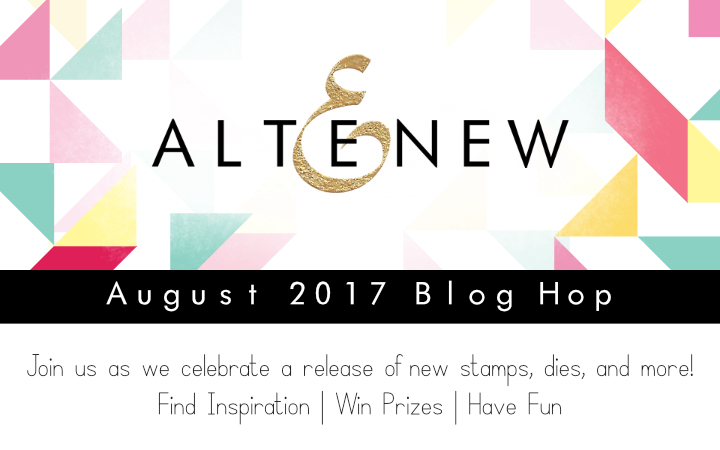 Love the new sentiment stamps and the versatility of this collection for using with scrapbooking. Oh my word!! Each and every one of your cards is EXQUISITE!! 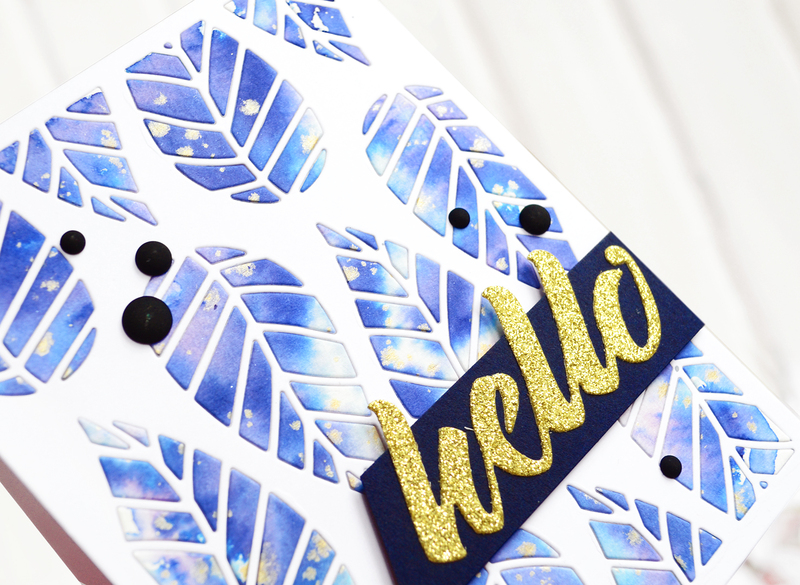 I just love how you layered each of your die cuts and the blue leaf card? WOW!! Thank you for all your inspiration!! Love this amazing release and your beautiful cards!!!! Amazing!! I adore your style! So happy that you are in the hop! Hugs! Stunning cards. I especially like the Striped Leaf cover plate card. Beautiful cards! Thank you for the inspiration! Your card designs are stunning! Beautiful job with this wonderful new release, thanks for the inspiration! Beautiful cards ! Good inspirations! Thank you! Wow your cards are so gorgeous!!! Stunning cards! Especially the first 3, love them! Beautiful cards - I especially love the 3rd one. Great inspiration. Beautiful cards !! I love the all white one. Beautiful cards. Love the doodled lace one and the striped leaf one. Your first card is so soft and subtle. Beautiful! Such a grand array of projects you've made and each one has been quite inspirational to me. I thank you for that. Great job. 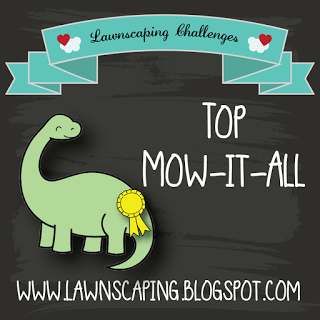 You did a wonderful job using the new Altenew products! Love all your creative cards. Your cards are wonderful. I love the colors you chose for each one. Gorgeous cards!I particularly like the 3 last ones! I love the colours you use on your cards. They work beautifully together. Great job. Your Fantasy Floral card is my favorite! 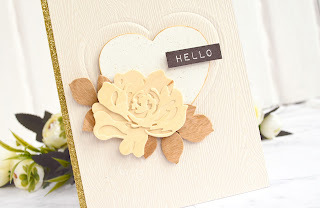 Such pretty cards you created for this blog hop. Just beautiful! I am in love with the fantasy floral dies and I love all the different ways/color combos you used with it. Goodness you had fun with this release. Love all your card ideas. Super fun release. Beautiful cards. Love your color choices. Love all your wonderful cards lovely colors thanks for sharing. So many beautiful cards. The third one is my absolute favorite one. So gentle and pretty. Love the color variation on the first card--it really makes the die-cut pop. And all of the different versions of hearts and flowers....makes me want to play! I have seen lots of leaves today, but I like yours best. The hint of gold with the richness of the blues: beautiful. Thank you. Wow these are absolutely stunning cards! I think this is my favorite release! I LOVE the Fantasy Floral die set sooo much and the Floral Filament die set too! Beautiful cards. Your color choices are wonderful. The Altenew Doodled Lace die is gorgeous. so beautiful cards! I love them. Your cards are beautiful. 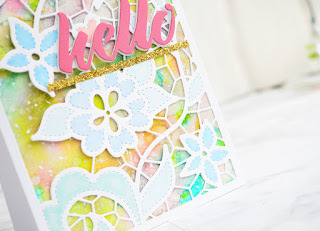 I love the background you created behind the lace cover die. Amazing set of cards. 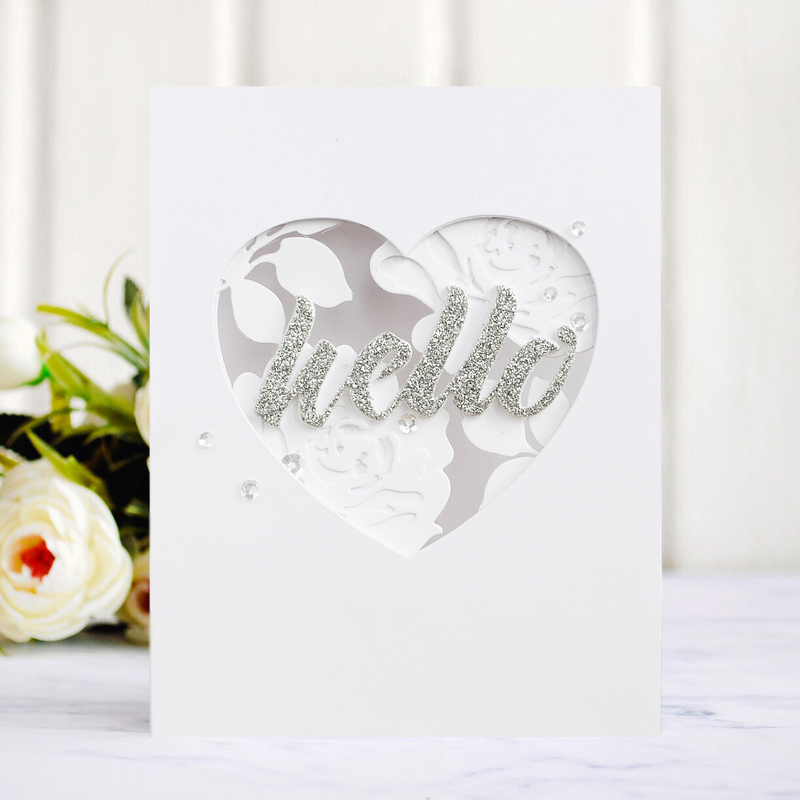 Beautiful and elegant cards - thanks for the inspiration. Your cards are amazing. This whole new release is amazing. Stunning cards! And I love the different takes with the Fantasy Florals die. Really shows how versatile it is! We should be celebrating you and your beautiful cards! Thank you for sharing your ideas for the layering die cuts! These cards are great. Wonderful creativity on your part, and the colors are amazing. Great job. Very pretty. I love the heart with rose card. Thank you for sharing. 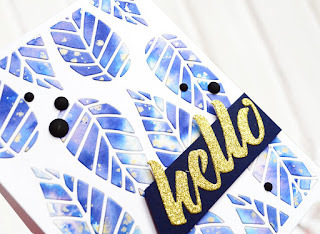 I loved the way you used the fantasy floral dies! Truly gorgeous! This new release is going to break my budget. I am so inspired by the new dies. It is so difficult to choose a favorite because everyone has demonstrated their versatility. It makes each one of them cost effective. The fantasy floral die set is so unique, yet so like the Altenew brand. Beautiful cards, all. How pretty! Love the use of the cover dies. Wow! Your designs and cards are beautiful! Great inspiration!! I love your cards! That neutral one is my favorite, though. It's so elegant! Thank you for sharing! Thank you for sharing such beautiful cards. I like your color selections too. So many fabulous cards! Thanks for sharing them! Love all of your cards! They are all just beautiful!! Your cards are wonderful and our color choices are visionary! Beautiful work! Thanks! Beautiful cards! I love the striped leaf die card. Please don't ask me to decide which of your cards is my favorite.... : they are all so gorgeous, colorful and elegant. Really all great creations ! Lovely cards. Love the use of color and graphic die look. Great cards. The colors and designs work so well together. Thanks for sharing them. Absolutely beautiful creations! I especially love the white wedding card. Gorgeous! 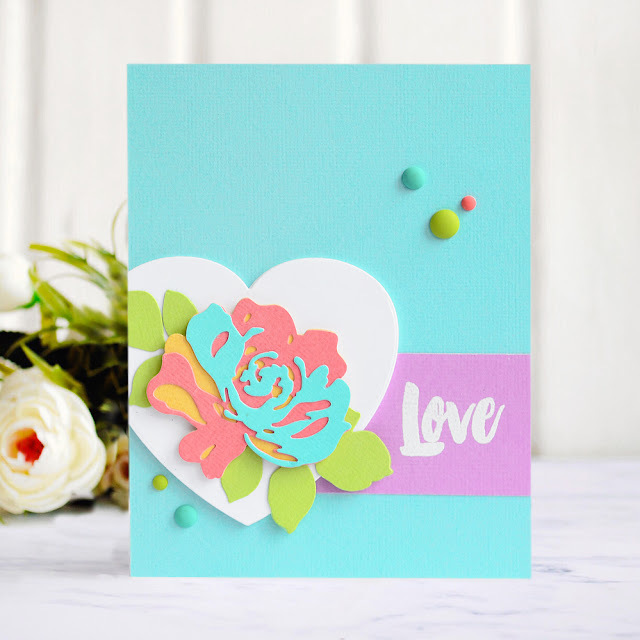 I love the colors you used in the first version of fantasy florals card. The contrasts really make the layers interesting. Your cards are so pretty! I love the Fantasy Florals cards the most! 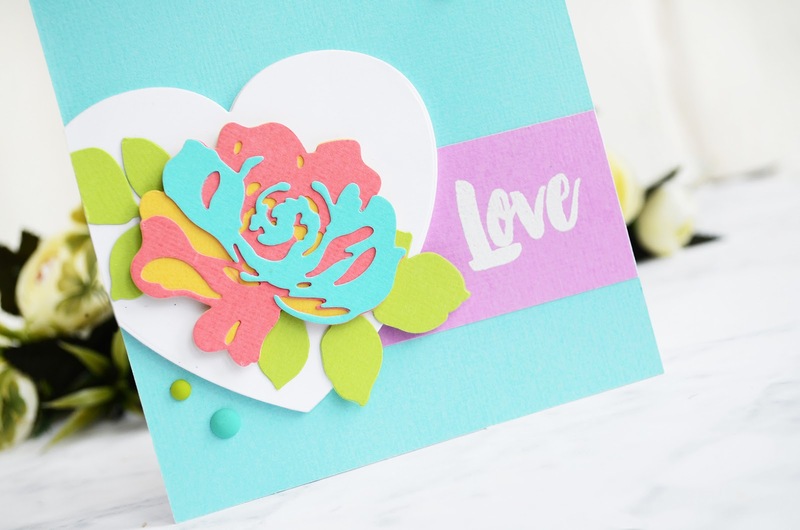 Gorgeous cards, love all the color combos! Your cards are too beautiful! 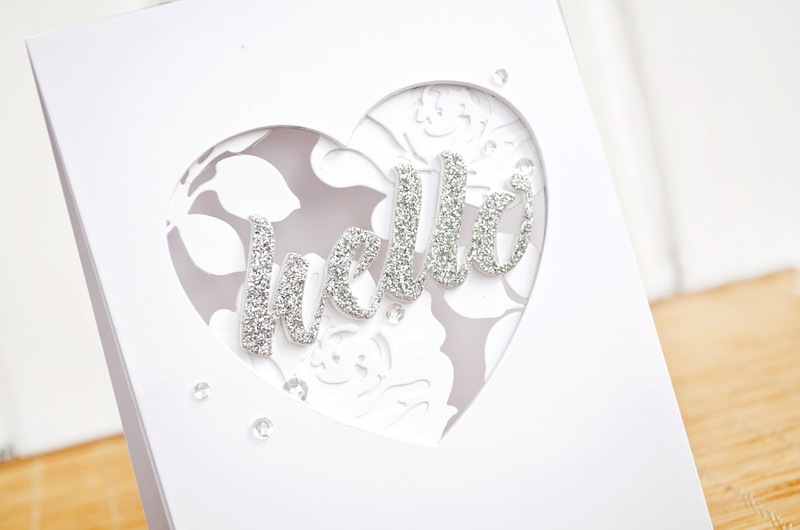 I absolutely love the white rose card with the heart window, it is stunning. OMG ..i just love your soft n elegant cards !! Fabulous job ! 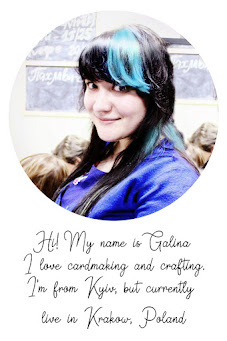 Hi Galina, thank you for sharing your lovely cards. You showcase Altenew's August release very well. I love your color choices on those first two cards! What stunning pastels. All your cards are really lovely. Gorgeous cards! Now I have to add the dies to my list of stamps that I must have from this release. I am going to be broke at the end of this blog. Sigh. It will be soooo worth it! Thanks for sharing. The colors are unusual, so soft yet vibrant. Stunning designs and colors. Wonderful cards - beautiful colors! Thank you so much for sharing! So pretty! 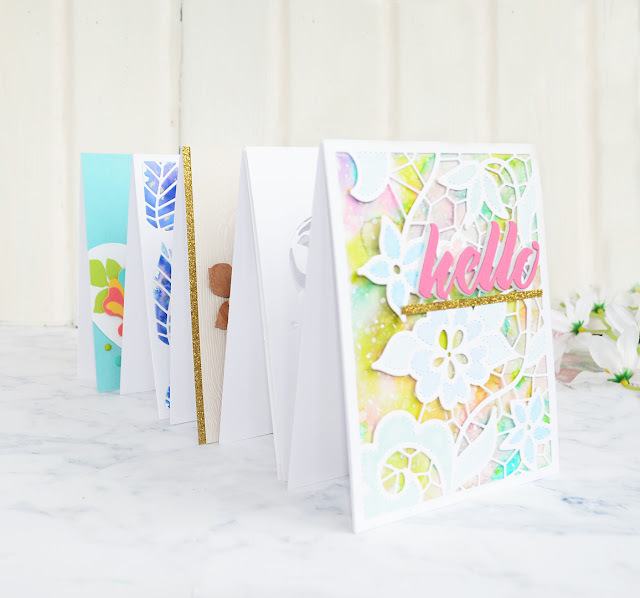 Love these gorgeous new dies! 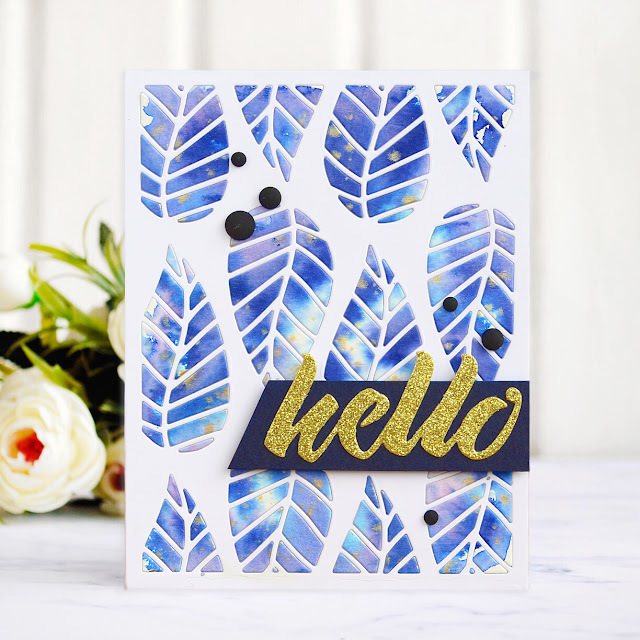 The Striped Leaf Cover Die is a fave! All your cards are so unique. I love the card with the wood and the pretty rose. Using the strip of gold glitter material really bring out more texture. Beautiful cards. Loving these new dies and what you girls are doing with them. Wow! Stunning range of cards! Beautiful cards - the Striped Leaf is my favorite! Wow, fabulous cards, each so unique and beautiful. Love all of your cards!! So pretty! Love the dies in this release and you did a beautiful job with them. So pretty. Beautiful cards! The dies are amazing! I'm loving your color combos! These are all beautiful! 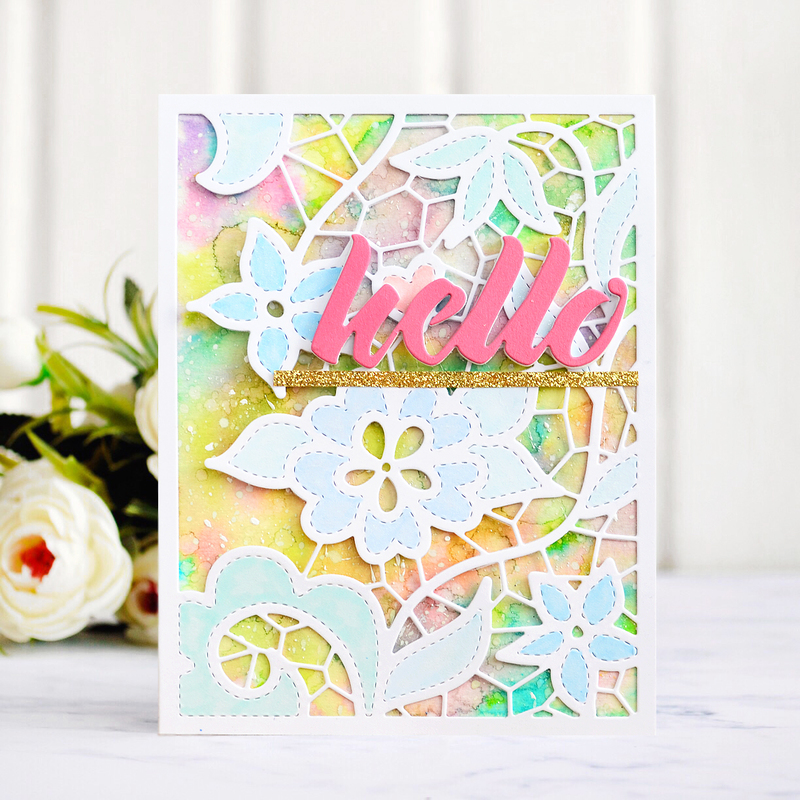 Galina I love what you created with the lace covered die. The colors are fresh and all your cards are elegant. Thanks for the inspiration. Beautiful cards!! Your backgrounds on the doodled lace cover die is so lovely. And I love what you did with the fantasy florals set. Those cards are just so creative.